Wrapped and sewn with off-white European wool and nylon blended yarns, these mallets offer both durability and minimal contact noise. This set works well for solo marimba repertoire in the lower to middle ranges and have a warm, medium soft sound with moderate articulation. A. Putnam does it again! 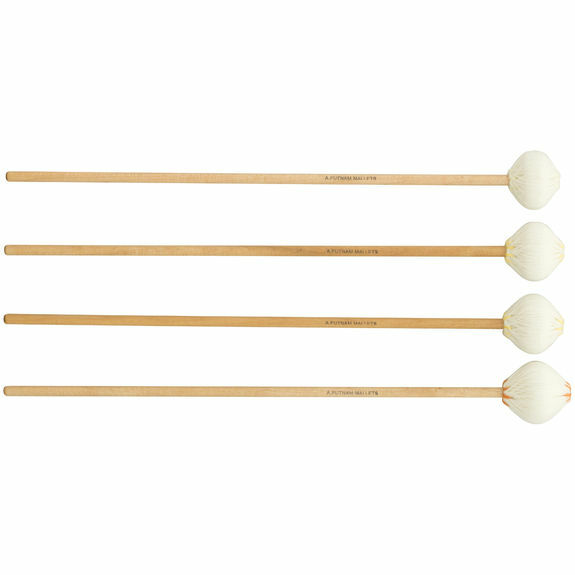 These mallets, while a little on the heavy side, create a beautifully rich tone with no contact noise. 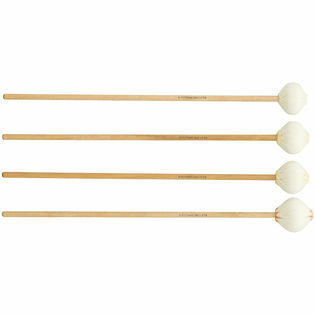 These mallets are great for pieces that need each octave to compliment the next, and not over power them. These are by far the BEST solo mallets that I have used (I'm a senior in HS). My instructor reccomended these to me and I, in turn, recomended them to one of my friends. Last year I took a solo to the State Solo and Ensemble Contest and one of the judges commented on the rich tone of the mallets. Again, an AWESOME find.